Party's media cell coordinator Narendra Saluja termed it a "thanksgiving rally" where farmers would felicitate Gandhi for the farm loan waiver announced in the state after a Congress-led government under Chief Minister Kamal Nath took over. Gandhi, during the campaign for the MP Assembly polls in November last year, had promised a farm loan waiver if his party was elected to power. 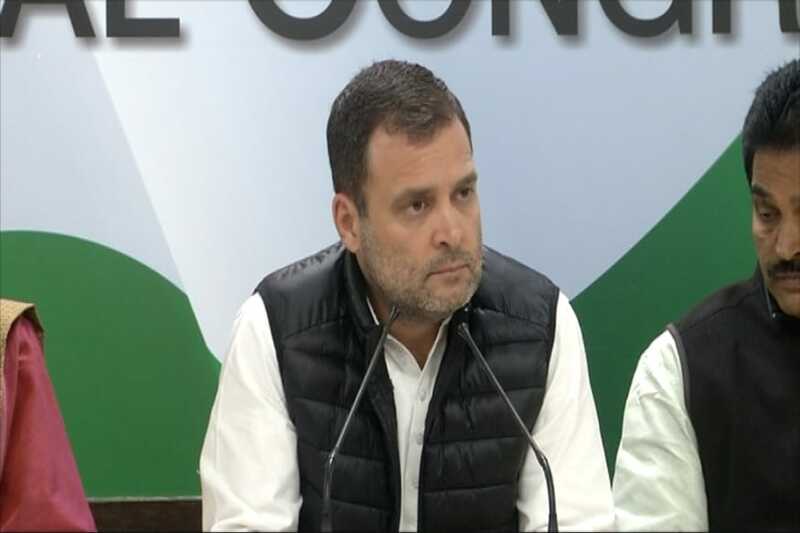 "All top Congress leaders from the state, including (CM) Kamal Nath ji, Jyotiraditya Scindia ji (AICC general secretary) and Digvijay Singh ji (ex-CM), will participate in the rally," he said. Congress spokesperson Pankaj Chaturvedi claimed more than two lakh farmers from the state are likely to participate in the rally. The MP government had earlier said the Rs 50,000 crore farm loan waiver scheme titled 'Jai Kisan Rin Mukti Yojana' would benefit 50-55 lakh farmers.